The current Government emerges with the aim to interact with the people of the province to eliminate corruption, injustice, inequality and anti-social elements. Government of Khyber Pakhtunkhwa aims to introduce ICT in all sectors to promote transparency through an organized and institutionalized e-governance program. 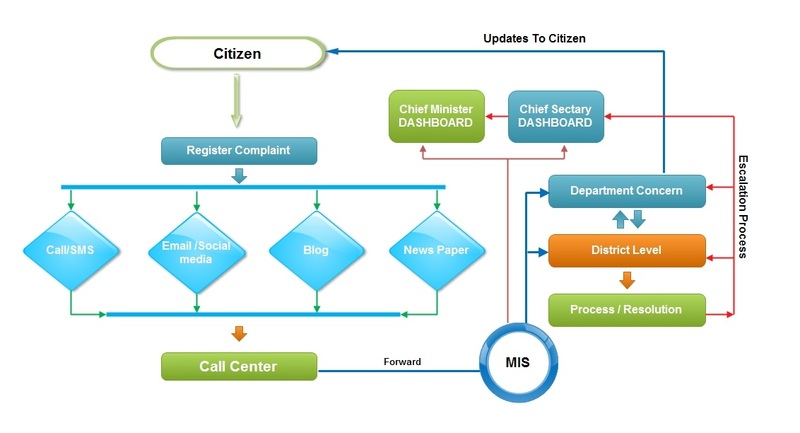 Government of Khyber Pakhtunkhwa has established an ICT based citizen’s Grievances Redressal Mechanism through which a common man will be able to register his complains, grievances and suggestions. All complaints will be recorded and forwarded to the concerned provincial department and compliance report will be given to the Secretary of the department (or further up if required) within specified number days of its receipt after verification. The citizens/complainants would be regularly updated on the work in progress on his/her complaint to call or SMS until redressal/closure.. The Grievance Redressal System is planned to be implemented gradually through phase wise approach and will cover all Departments of KP Government. In first Phase, the complaints regarding five government departments (Education, Health, Police, Revenue and Local Government) would be redressed using this system. In second phase, the system would be extended to all remaining Government Departments.